Interested in finding a group fitness program in the East End? One recently started at Jefferson Park, and you’re invited to try it out for free next week (February 4th-10th)! Jefferson Park: Bill Dickinson of Sky Noir Photography. 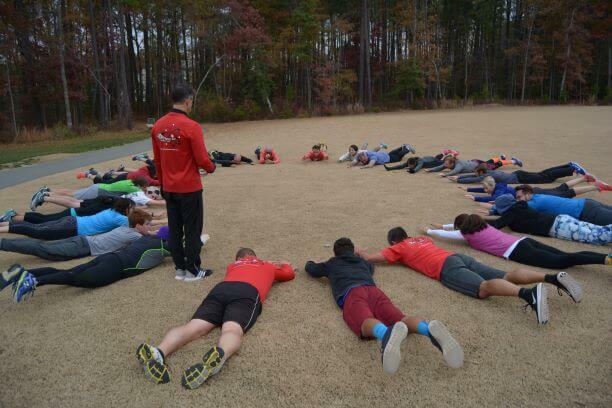 Team Adrenaline is an organic outdoor fitness program led in corporate and neighborhood locations by founder and fitness enthusiast Paul Caminiti. 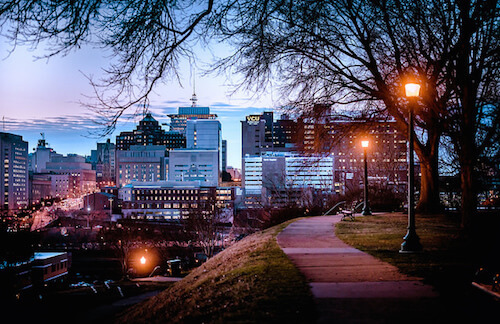 Paul has actively trained individuals, student-athletes, and communities in Richmond since 2007. I joined Adrenaline’s corporate workouts at Snag (formerly Snagajob) in 2013, and my spouse and I tapped Paul to help prepare us for the Richmond Marathon in 2018. After the marathon, we moved our meeting spot to Jefferson Park, with a vision to expand our private sessions into a community group. Paul brings so much positivity to the workouts; he helped me achieve my fitness goals and keeps me motivated every week. The group meets every Tuesday & Thursday mornings @7 AM at Jefferson Park. You’re invited to try it this week for free; no commitment necessary. Questions? Reach out to pscaminiti@yahoo.com, or comment on this story. Can’t make Tuesday and Thursday mornings? Free workout week is extended to Forest Hill Park and Browns Island groups with trainer Natalee Bolton on evenings and Sunday mornings. Email nhale81@gmail.com for details. What to bring? Be sure to layer and bring a water bottle. A gym/yoga mat is suggested, but not required. See you there! There are also several free weekly fitness classes throughout the Church Hill/Fulton area sponsored by the Sportsbackers Fitness Warrior program. All fitness levels are welcome to attend from beginner beginner to advanced. Check out the schedule to see what fits best. Every week. Always free. 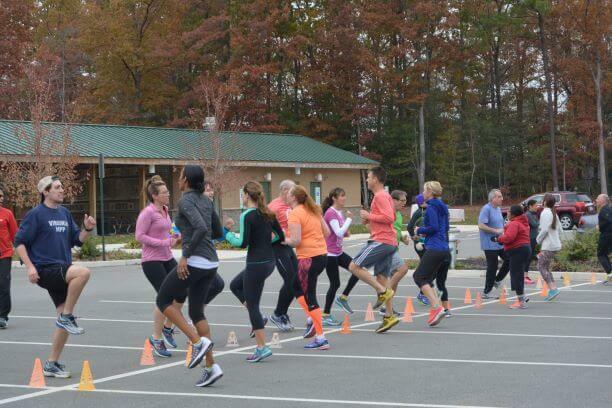 And Sportsbackers offers a 10k training team at Richmond Community Hospital. Michelle Lancgyrl Bair yes!!! You stole the words right from my mouth!! Free group fitness classes in the east end almost every day of the week through the Fitness Warriors!!! Michelle and Pricilla, thanks so much for sharing! I’ve done Sportsbacker’s programs too (half marathon and marathon), and I think they have a wonderful mission. If you’re looking for something different, I definitely still recommend checking out Team Adrenaline. Team Adrenaline definitely has its own feel, and can be an amazing addition to running, training teams, etc. Worth checking out!